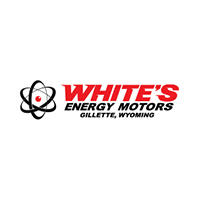 Chrysler, Dodge, Jeep, RAM and Used Car Dealer in Gillette | White's Energy Motors " "
Why buy from White's Energy Motors? Selection – We have the largest in the area for Dodge, Chrysler, Jeep and Ram. Volume – We are a volume leader in Wyoming and offer every day Volume Discount Pricing. We sell more, so we can save you more! Professionalism – We believe in going the extra mile to exceed the expectations of our customers. Customer satisfaction is the cornerstone of our business. Location – We are conveniently located directly off of I-90 in Gillette, WY. Service – We go the extra mile to ensure your service experience continues long after the sale. We have several expert technicians and Professional Parts Associates anxious to offer assistance and state of the art tools and facility. Financing – White’s Energy Motors has plenty of buying power. We work with all of the top lenders to provide the best financing options available for your new vehicle. Extended Hours – While the other car dealers are home watching television, White's Energy Motors is providing service to a shift work community. We are open late for your convenience. Even on Saturdays! We deliver – We understand that life can be busy. If you need us to pick up your service vehicle, deliver a part or even bring your new car to work so you can test drive it on your lunch hour, we are always willing to accommodate.